FARMED AND DANGEROUS, Edith Maxwell: Third "Local Foods Mystery"
Packing and stacking: that's the way to enter summer. Packing a beach bag with books you've waited for months to have time to open ... and stacking more of them next to the deck chair, hammock, or (fan above it, of course) summery lounging spot inside, for those buggy or rainy moments best endured with iced tea and a good mystery. FARMED AND DANGEROUS could go into the bag or onto the stack -- but since it's being released May 26 as a hardcover (yay, Kensington Books! ), I suggest the stack. Then put the two earlier titles in Edith Maxwell's Massachusetts adventure series into the beach bag, as a compromise. You can catch up on 'Til Dirt Do Us Part and A Tine to Live, a Tine to Die in between plunges into the water, right? But it's not necessary -- or even important -- to read these in order. Market garden farmer Cameron Flaherty took over her farm recently from her great-uncle, Albert St. Pierre. She's built up steady clients in spite of the crimes that have struck her acreage (ah, these "amateur sleuths" always have a problem justifying the way murder seems to follow them around!). And the customers for her year-round veggie subscription, in the mode called CSA (community-supported agriculture), have also become friends, sometimes assistants, and most importantly her advisors on what to grow and sell. 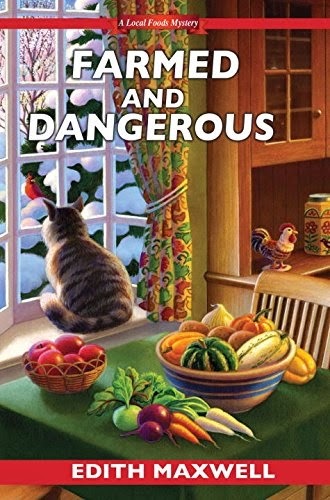 As this third book opens, Cam's hoping she can enlist the assisted living home where her great-uncle now lives, to purchase her produce on a regular basis. And because it's "New England spring" -- the kind where snow keeps coming back at you -- she's resorting to padding out her CSA baskets for customers with other locally grown and harvested treats, like heritage apple varieties and cheeses. Maxwell's made a clever choice in bringing along, from the earlier two books, some startling characters. One of them, the very unfriendly Bev Montgomery, is a recent addition to Great-Uncle Albert's assisted living home at Moran Manor. And Bev is still accusing Cam of stealing chickens, and more. "I'm going to kill that woman," one of the staff aides declares, and Cam knows just what he means. Still, it's a shock when actual death stalks the halls of the assisted living facility. Did it arrive because Cam's spending time here? What's the threat level to her great-uncle ... and is it her fault? What if something were to happen to trap her within the residence with the seniors and, most likely, a killer? Cam already knows enough to be scared. Very scared. "Tell me what you found at Moran." Cam reached a hand across the table to him. When he kept his arms folded, she pulled hers back, stung. "She was murdered," he said. The expression on his face changed from fatigue to steel. "I'm afraid you've become a person of interest." And that, of course, nails it -- now Cam's got to step in and solve this crime, if only to prove that her boyfriend has the wrong direction in his sleuthing. Not to mention protecting Great-Uncle Albert. And oh yes, to keep her local farm in business! 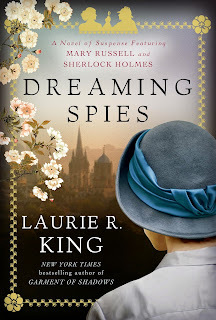 If you're a Laurie R. King fan -- and I am -- you probably had DREAMING SPIES on your list earlier this year, and purchased it soon after its release in mid February. I did, too, but I knew there was no rush to review it, so I tucked it away to enjoy later. 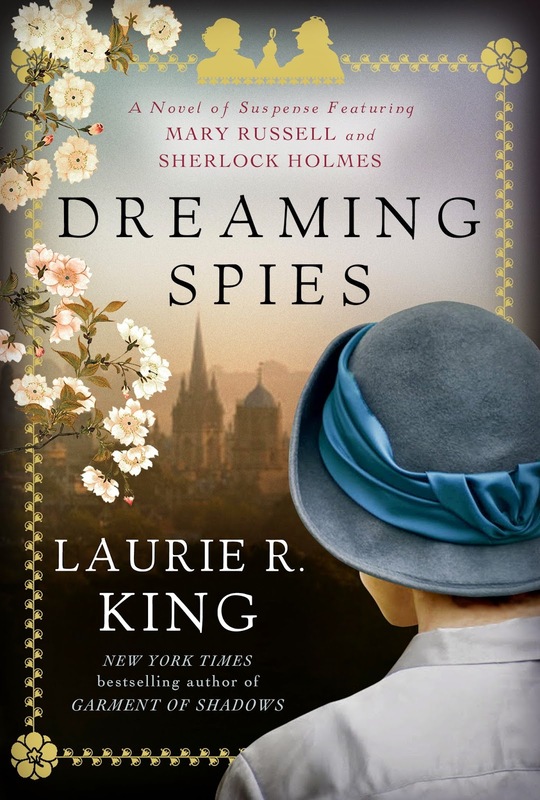 * For anyone who's followed Laurie R. King's writing, from the Kate Martinelli (San Francisco) homicide series to the eerie and compelling Stuyvesant & Grey books to the very popular Mary Russell/Sherlock Holmes sequence, reading DREAMING SPIES is the best way to discover which direction King's creativity has taken this time, and how she's tying together her many interests. Plus, is her storytelling changing with time? My own answer to this: Yes, she's separating the thread of violent crime from the thread of puzzle solving. Although her 2006 release, The Art of Detection, was a deliberate (and entertaining) effort to tie the Martinelli series to the Russell/Holmes books, it left out some of the dark threat of the early Martinelli books. That darkness now prowls in the Stuyvesant & Gray books instead (so far, just two of them: Touchstone in 2007 and The Bones of Paris in 2013). * Holmes fans who are not deadly serious in their passions can enjoy the notion of Holmes as a much older man, married to his young student Mary Russell -- and in DREAMING SPIES, Russell asserts her equality to Holmes in terms of deftness with disguise, quick planning, even martial arts. In fact, the premise of the story, which takes the pair into Japan in 1924 to assist a ninja (or more than one ninja!) and other politically significant Japanese figures, is that neither Russell nor Holmes speaks Japanese or has expertise in the "customs of the country." Hence their decision to explore, and then assist, puts them on a level playing field. Actually that means Russell will dominate a bit more than usual, since she's younger and by gender better adapted to the schemes involved this time. *If you've been reading any of the half dozen intriguing series of English mysteries racing into print on the World War I years and the years between the wars -- or even James Benn's World War II series with Billy Boyle -- this 1924/1925 setup will enhance what you're already consuming, adding details of Europe, the United States, and Asia, particularly Japan. It's a time-honored way to enjoy adding history to your plate. Best of all, I came away from the book relaxed, taking joy in the twists and resolution of the story, and more attentive to the history and cultures on display. Fun! I recommend reading it -- provided the "reasons" above fit your state of mind as you open the book. The long shadows of old crimes are familiar phenomena for Ruth Galloway, a forensic archaeologist whose home turf is Norfolk, England: rich with dark history, which Ruth has already found dangerous to her career and her life in the previous six books in Elly Griffiths's strong and exciting series. In THE GHOST FIELDS, a body from the Second World War emerges where it shouldn't be -- in a buried airplane (the wrong kind!) in a field where a development is scheduled for construction. And when Ruth begins to probe the life and death of the quickly identified corpse, Fred Blackstock, threats from the locally significant Blackstock family multiply. But the dangers, though real, are amorphous and the killer or killers are hard to identify, in the midst of a tightly closed family full of secrets. Griffiths braids far more tension into the mystery, through the stresses Ruth and her friends undergo in the meantime. Fans of the series already know the complicated situation Ruth's in, as a (mostly) single parent raising a precocious daughter whose father keeps stepping back into the picture; as an academic struggling against a thoughtless and periodically malicious department head; and as an undecided lover of an American whose visits to the region destabilize her heart, her routines, her hopes. Then there is the druid component: Ruth's close friend Cathbad "just knows things" and sometimes they are relevant to untimely deaths. Not to mention the advent of DNA testing to the region -- suddenly tying together people and differentiating others, causing shocks to family structures, old beliefs, and the current policing force where Ruth's on call. A large part of the pleasure of this series is Ruth herself, sharp and knowledgeable in her field, but quickly insecure in crowds and among people who don't seem quite sane. With the entire Blackstock family meeting that criterion, one way or another, Ruth's in trouble until she can resolve the journey of Fred Blackstock's corpse. Griffiths alternates points of view, and when we're "inside" Ruth, we're on an all-too-human roller-coaster of determination, discovery, and dismay. Ruth watches as Fred's coffin is lowered into the grave. It's a moment that never ceases to shock, no matter how long ago the death. The crowd begins to disperse and, conspicuous amongst the sea of black, she sees Cathbad and Hazel, both wearing purple cloaks, standing to one side of the grave. The TV cameraman is filming them surreptitiously. And there's Nelson, accompanied by Tim Heathfield and Clough, moving forward to talk to Sally Blackstock. The cameraman, who has, up until now, been the soul of discretion, allows himself a few shots of the grave and of Nell Blackstock walking away, clutching the folded flag to her chest. Ruth stays back. She doesn't much want to talk to the TV people or to the family. She is still wondering whether to attend the 'celebration' at Blackstock Hall. ... When she thinks of the scene last night, she is struck by a slight but real jolt of fear. She remembers Old George howling in the pets' burial ground and standing at the head of the table proposing a toast. Madness, menace, and the constant mayhem that defines managing a challenging career and parenting -- that's what Ruth is in for, and THE GHOST FIELDS (a term for the old airfields in the region) provides suspense and intrigue and quick, sharp jabs of dry British humor as well. Elly Griffiths is on a good roll here, tossing Ruth's often chaotic life with generous helpings of crime, sleuthing, and suspense. 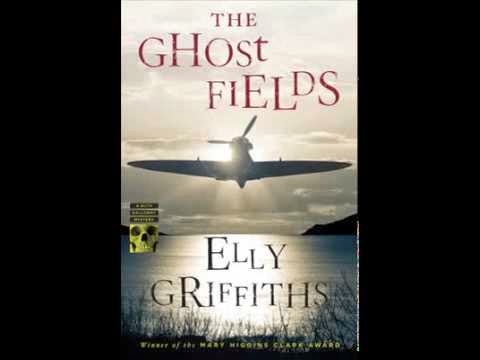 It's a great series -- halfway between amateur sleuth and professional investigator -- and although there are advantages to reading all the books in order (start with The Crossing Places), THE GHOST FIELDS is very readable on its own. Of course, it's likely that if you read this one without the others, you'll soon be sleuthing the shop and online shelves, looking for the other six. But there's nothing wrong with that adventure! At least you are not going to have to face dinner with the Blackstocks on your own. I've never held back on blunt truth about the mysteries that Bethany Maines framed in her multilayered "Carrie Mae" cosmetics and espionage corporation: They are funny to the point of getting a stitch in your side, or interrupting the quiet evening of anyone else in the house by chuckling, giggling, guffawing, and (unladylike) snorting at the situations and reactions in these "caper"-style mysteries with an indelible "just us girls" twist to them. 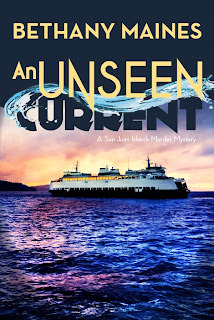 With AN UNSEEN CURRENT, set in the San Juan Islands off the coast of Washington State, Maines dials down the creative confusion and hilarity a bit, to spin a more traditional mystery featuring out-of-work actress Tish Yearly. Evicted from her apartment at the same time that she loses her (non-acting) job, Tish takes the last and least appealing choice open to her: She drives onto the ferry and heads for her grandfather's home, desperate enough for a place to stay (and lick her wounds) that she's willing to barter cleaning out the elderly man's sheds and home in exchange. But Tobias Yearly isn't quite the cutesy grandpa Tish thinks she's running to -- even though the two of them are walking with shared grief about the untimely death of Tish's dad, they don't know much about each other. Tobias's close friend Reginald, serving up a welcoming dinner for Tish, is only too ready to tell at least one secret: Tobias used to be a CIA agent. Tish hasn't had enough time to process this by the next morning, and at that point, it's too late for that sweet across-the-generations helpfulness she thought she'd bought into -- because Reginald's been murdered, and both Tish and Tobias are "persons of interest." Maines keeps the plot bouncing, with well-applied risk and tension, plenty of humorous moments (they're just not quite as extreme as in her first two books! ), and even a strand of romance or, as Tish is willing to name it, lust -- but does it have to focus on the officer of the law determined to investigate her? Ouch! Amateur sleuth though she is, Tish quickly learns from her grandfather that pro acting skills apply very well to analyzing whether suspects are lying, and of course to infiltrating and investigating. "Too bad he's lying," said Tish and Tobias at the same time. "You can't know that!" exclaimed [the waitress] Amber, clearly a romantic. "I was not with Shelley last night," quoted Tobias. "Used her words to construct his denial, and no contractions, that's a very bad sign." "He practically built a wall between them with the condiments," said Tish, "And he kept turning his body away from her." "Not to mention the off-timing on the emphatic finger poke," said Tobias. "Yeah, that was way off," she agreed, nodding. "What are you two? The lie detecting duo of Orcas?" demanded Amber. Matter of fact, Tish and Tobias make a great team, one of the few investigating granddaughter-grandfather setups around! Tish is smart, quick on the uptake, and soon is way too close to the probable perpetrators of the crime. 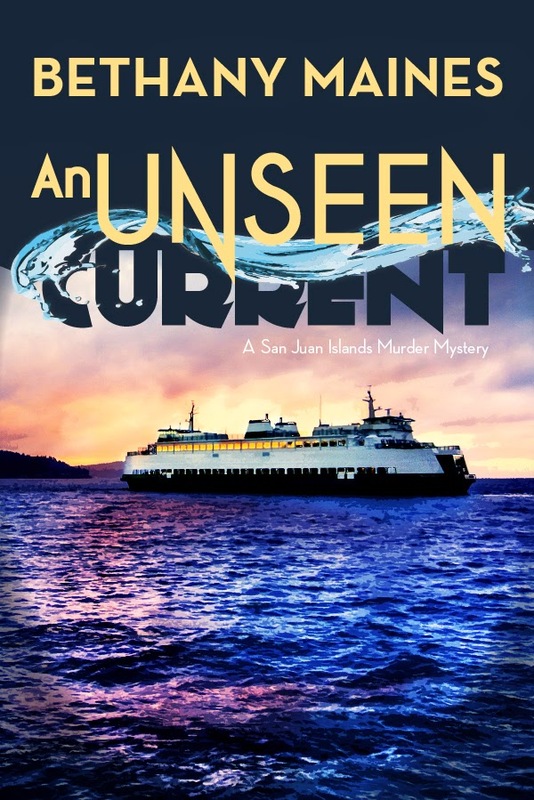 AN UNSEEN CURRENT gives a lively, good read, in traditional mystery format, with good twists and the right amount of danger and deception. I enjoyed it -- actually, I couldn't put it down! Available as an e-book, and also by "print on demand." Ignore the typos (I did, for the most part) and zip into the fun. Oh, and by the way -- if you're taking it on vacation with you ... make sure nobody's going to give you a hard time if you get an occasional urge to read the funniest parts out loud. It is, after all, a Bethany Maines caper! Ever notice how hard it can be to relax, as summer arrives? In theory, it's playtime, and vacation time, and let's-go-the-beach time ... but in practice, it's also yard-care season, clean-out-the-closet time, give rides to family members no longer in school time, and time to learn new recipes for the grill. 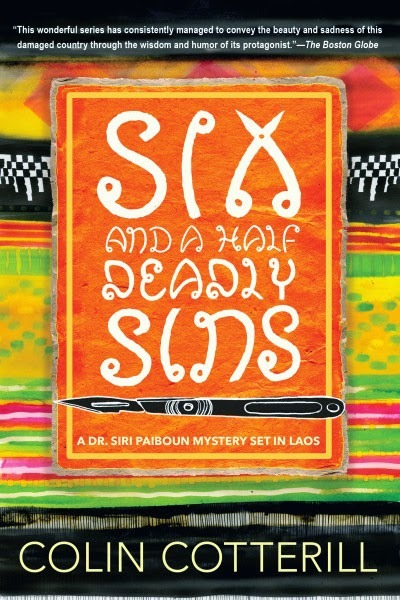 That's why it is entirely necessary to grab the newest Colin Cotterill mystery, the tenth in the Laos-based series featuring the aging Dr Siri Paibun and his wise and tough wife, Madame Daeng. Dr. Siri is officially retired now, and the office where he's exhibited his government-mandated coroner's skills is closed. But a package has arrived, and he's puzzling over its contents with his friend Comrade Civilai Songsawat -- also retired, at least in theory. In fact, the pair should be just "two old men sitting on a log" beside the Mekhong River, taking things easy. But the package contained a traditional Lao skirt, or pha sin, with a severed finger sewn into the hem, which really can't be ignored easily. "Do you suppose it might have belonged to the weaver?" asked Civilai. "Some loom accident?" "What?" said Siri. "You mean she was so engrossed in her skirt-making that she didn't notice she'd sewn her own finger into the hem? Got home that evening, and her husband says, 'Hey, where's your finger?' And she looks down to find it gone and says, 'Hm. I must have inadvertently sewn it into one of the skirts'?" Well, no. Obviously. And as Civilai reminds to his friend, "Sarcasm is like throwing a stick at your enemy when you've run out of bullets." Fortunately, Dr. Siri's wife, Madame Daeng, along with her sometimes mysterious past and her esteemed skills in noodles, knows something about these traditional weavings, and can point the two men north. In fact, she even decides to travel with her husband, which turns out to be a very wise choice. The journey to investigate the sin, however, is at least as complicated as the puzzle of the finger in the skirt hem. In fact, a map at the front of the mystery, before the tale begins, gives fair warning. Siri -- and who knows who else, at this point? -- is headed for a scenic and politically uncomfortable tour of northern Laos. Expect trouble ahead, because Cotterill has already said bluntly in the first paragraph that this season (December 1978) is also the time when Vietnam invaded Cambodia, a neighbor of Laos. If you're good at geography, or lived through the Vietnam war, you know China is involved in all these tilting power struggles, too. And Dr. Siri has never become a model citizen under the Chinese-led rule of his little nation anyway. Even with Madame Daeng at his side, he's sure to get into trouble. I should have guessed from the chapter titles, but it took me a while to connect the book title with the goings-on (after all, I was watching for why it wasn't "seven deadly sins," a true red herring). To be honest, for a while, I wasn't trying to figure out things -- Cotterill's storytelling is so fluid and his characters' interactions are so entertaining that I just gave in, following the story and not trying to solve the crime, eager for the next twist of the plot. Now look back at the start of this review -- the part about not managing to relax in the season that's supposed to be all about relaxing. This is the reason it's essential to pick up a copy of Cotterill's SIX AND A HALF DEADLY SINS. It's the fun part of the season, and it will remind you of why you wanted to read an enjoyable book (instead of just a challenging one, or one on the list of cultural must-reads, or any of that). This is the book that makes reading into a summer pleasure again! It's from Soho Crime (of course!) 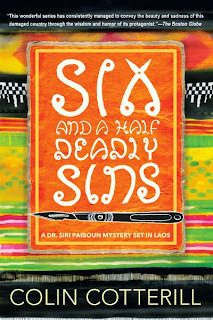 and feels like a true sibling to Tim Hallinan's modern-day Thailand series (warmth and humor), a cousin to Martin Limón's Korean ones (friends facing risks together), and an uncle to Barbara Cleverly's Joe Sandilands investigations (paying attention to the politics will help you solve the case at about the same time that the protagonist) -- all of them Soho series. But if you can only pick one to start your vacation (or pretend you can have one! ), this is the one. For extra fun, visit Cotterill's website, too, and jump through the hoops of his graphic jests, en route to a pithy description of his newest book here. 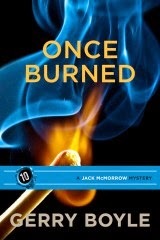 In the 10th title in his Jack McMorrow series, ONCE BURNED, Gerry Boyle evokes primal terror: the sum of those consuming and compelling emotions when someone threatens the life of your family, especially your child. Piling on plot threads and sharp twists, this page-turner is both a powerful work of crime fiction, and a fine New England example of what trouble a job with high stakes, some deep friendships, and determination to "do the right thing" can get a person into. Jack McMorrow is a news writer, a journalist, living in Maine. At home, he's an active dad of Sophie, the preschool daughter he and his wife Roxanne are raising. But every now and then, and this is one of those months, he's got to step back into his work shoes and develop a long story that the New York Times will pay big bucks for, complete with sidebars and insight. His wife Roxanne's newly done with her career slot -- or at least she's supposed to be -- but one of her last actions as a social worker for the State of Maine has just turned into a blame-fest of a child's death and a furious mom, and there are newspaper reporters -- not Jack -- calling the house for comment. One of my favorite things about reading Gerry Boyle's mysteries is that even when his protagonist is an "amateur sleuth" like Jack McMorrow, stepping over the line into pursuing the truth about a crime himself instead of just watching and recording it, the decisions up front are smart, not stupid. Jack's not the kind of person to neglect to lock a door when he knows there's a criminal around, and he's a loyal more-than-friend to his neighbor and ex-military operator Clair and Clair's wife Mary. Strong and savvy in the ways of violent criminals -- from his Vietnam war past -- Clair is even more protective of Jack's family than Jack is. Which makes ONCE BURNED an extra scary book, because there are three people -- at least -- trying to force Jack and Roxanne to back away from their work and integrity, and all are threatening not just Jack, not just Roxanne, but little Sophie. And even Clair is getting challenged, trying to keep up the defense. The book races into action from the start: There's an arsonist tearing apart the magazine-glow image of the little town of Sanctuary, Maine, far enough from Jack's home to make him out of reach if he's on the story, but close enough for him to keep racing over there as tragedies multiply. Meanwhile, Roxanne's former client, mom of a child who's died in foster care --- in a home that Roxane provided -- is clearly "off her meds" and setting records in stalking and threatening. And even the "good guys" out in Sanctuary and looking pretty strange by now. "Jack," Tory said. "Somebody is threatening your property, even our family. What do you do?" "Call the police?" I said. "Sure, but what if the police are a half-hour away? What if by the time you see the fire, it's been burning for at least that long? What if the person doing this has free run of the town because at three a.m., everyone is asleep?" "I don't know," I said. "You tell me." "In a situation like this you have to take back the night, Jack," Tory said. Jack will have to use all his skills, investigative, writing, and parental, to keep his family safe this time, and to get the massive story that will provide the paycheck his family needs. Boyle proves once again that a really good mystery must be much more than an intricate and believable plot: It requires characters who speak to us, and echo our own loves and doubts. With Jack McMorrow and his extended family, Boyle has constructed a powerful frame of love and struggle where his storytelling consistently lays out the memorable, the involved, the must-read caring for people "like us" who rely on each other in tough and frightening situations. Jack and Roxanne -- and Sophie -- may not come through this one unscathed. But they will come through it with us, the readers, increasingly committed to their journey.